No one can accuse Joe Williams of censuring a particular person or group of people for the perceived decline in public education over the last several decades. In Cheating Our Kids: How Politics and Greed Ruin Education (Palgrave Macmillan, 2005), Mr. Williams asserts that there is plenty of blame to go around—from teachers’ unions to politicians to well intentioned philanthropists. In a book that strives to inspire, however, he also writes how he believes parents—organized and committed—have the power to bring lasting improvement to public schools. True to his title, in the first chapter Mr. Williams makes the argument that as long as we spend tax dollars on public schools, education will inherently be a political operation (it is worth noting here that it only takes him until page seven to bring up the Kansas City, Missouri School District’s desegregation case and historic superintendent turnover). When it comes to public schools, Mr. Williams contends that the needs of children often take a backseat while adults “stand in line looking for handouts”. He goes on to compare the powerful structure of school systems to cartels. In the business world, of course, cartels are agreements between the producers of a product to either limit their production or fix prices. According to Mr. Williams, one of the things that keeps the education cartel running smoothly is its power over vast sums of other people’s cash. Complicating the matter is the fact that it is hard to hold anyone accountable. Early on, Mr. Williams argues that so many people and forces are involved in delivering public education that it is far too easy for bureaucrats and politicians to point fingers of blame at one another when things go wrong. He concludes that, in fact, multiple groups and organizations bear responsibility. Beginning with the teachers’ unions, he describes how the existing pay structures usually reward teachers for seniority and have little if any regard for how effective they are in the classroom. He also explains how teacher contracts often contain so many work rules—such as how much time they are required to work and what principals may and may not ask them to do—that it has become difficult, if not impossible, for principals, superintendents and other school leaders to serve as effective managers. And while he notes that there are many well-meaning, caring teachers in our nation’s public schools, he also points out that the primary purpose of the teachers’ unions is to protect its dues paying members, not to serve children. Over the years, Mr. Williams writes, the unions have become a major political force to be reckoned with. From providing enormous amounts of money to running phone banks in political campaigns, the teachers’ unions wield so much political clout that those seeking or currently in public office are often afraid to “rock the boat” with real education reform efforts for fear of offending this power base. Parents, on the other hand, have very little real power when it comes to shaping educational agendas. Sadly, this seems to be something the public has come to accept—at one point Mr. Williams ascertains that, when it comes to education-related issues, politicians and the public alike have become so used to hearing teachers’ (or more accurately, the unions’) opinion that they seldom wonder anymore what parents think about a particular issue. The unions, of course, are not the only culprit. Vendors who peddle everything from textbooks to computers often provide trips, meals and other perks to school administrators who then purchase their products. Thus, administrators often make purchasing decisions that are based more on relationships than on putting the educational needs of children first. Business leaders, Mr. Williams maintains, also give lip service to the subject of education but seldom do any more than that. Even education philanthropists who provide enormous sums of money for schools receive their share of criticism. Mr. Williams raises the question of why certain reforms favored by what he describes as “friends with deep pockets” are often implemented regardless of whether there is any evidence that they actually work or whether they provide the services that parents and administrators actually want. In the latter part of his book, Mr. Williams talks about how it is possible—and necessary—to put kids first. As an education reporter who worked for both the Milwaukee Journal Sentinel and the New York Daily News, he uses many examples from these two cities. He talks in great length about the move to provide vouchers to low income children in the Milwaukee public schools. He also gives a fair amount of discussion to the movement in New York City to give control of the public school system to the mayor. In the end, though, Mr. Williams asserts that it is parents who must take charge. Parents, he argues, are the only individuals who truly want what is best for their children, and he urges them to act more like the consumers when it comes to their children’s education. In his list of 12 Rules to Help Parents Take Back Their Public Schools, he makes some good points. For example, he urges parents to remember that “no one in the school system deserves a job more than your child deserves an education,” and he pushes parents to understand that basic problems (such as unsanitary bathrooms and teachers parking in children’s outdoor play areas) are often symbolic of larger problems. He also gives examples of parents utilizing techniques often employed by the unions. For instance, in El Sobrante, California, parents organized a mass “sick out” of students when their children were not given a permanent teacher (the situation was quickly remedied); in Benton, Illinois, parents formed their own picket lines to picket striking teachers when someone noted that the average teacher salary was $56,000 while the average resident earned just $27,000. While Mr. Williams concedes that teachers’ unions have every right to picket, he maintains that parents also have every right to protest and picket about their issues. It’s a good question. 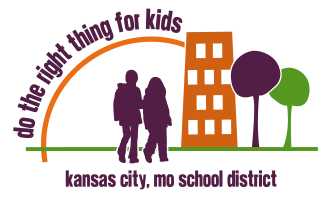 In Kansas City, as the district continues to shrink and test scores remain dismal, it is also a question we can’t afford to take too long to answer.